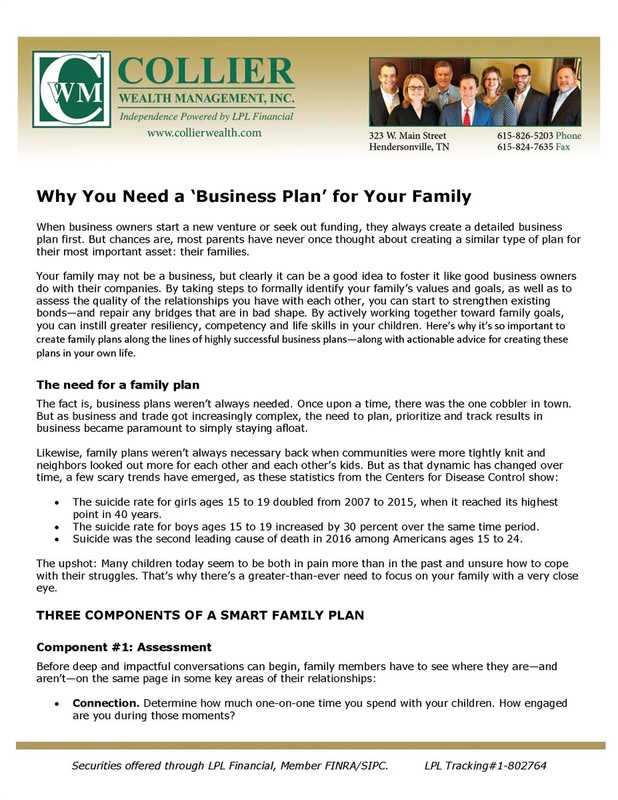 Why You Need a 'Business Plan' for Your Family | Collier Wealth Management, Inc.
How is a family like a business? Both need smart planning to succeed, survive and thrive. 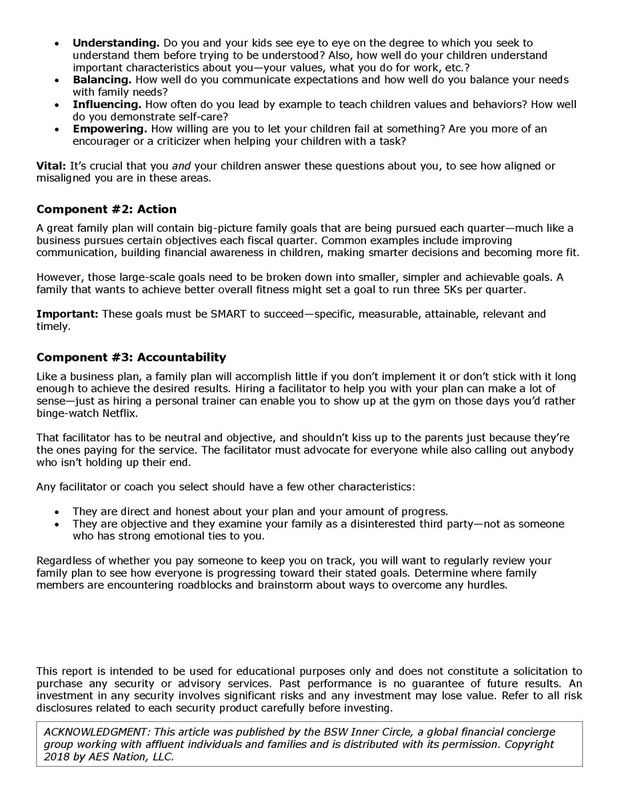 Request your copy of "Why You Need a 'Business Plan' for Your Family"